This lovely car gave me many wonderful memories. 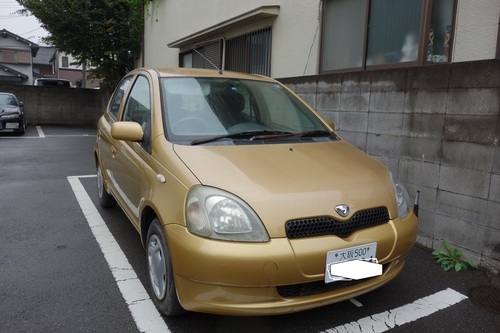 A mileage of this car was 54000 km. I was sorry to say goodbye to my old car. A new car came to my house, instead. 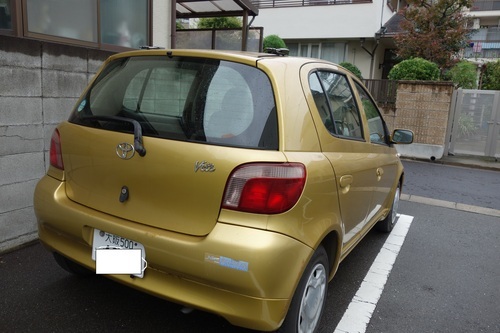 It is the same as an old one, but a new car's color is cool soda metallic. Give my love to a soda car the same as a yellow one. 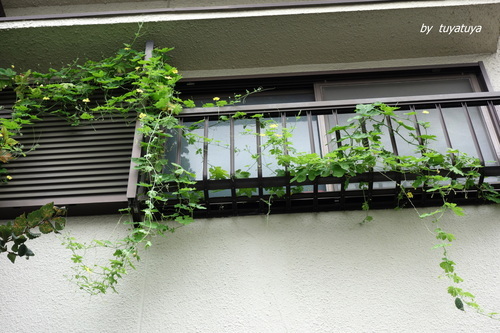 Though　summer was over, I've cropped many Goya at my veranda. However their vines had crept up the other trees, so they were hidden. 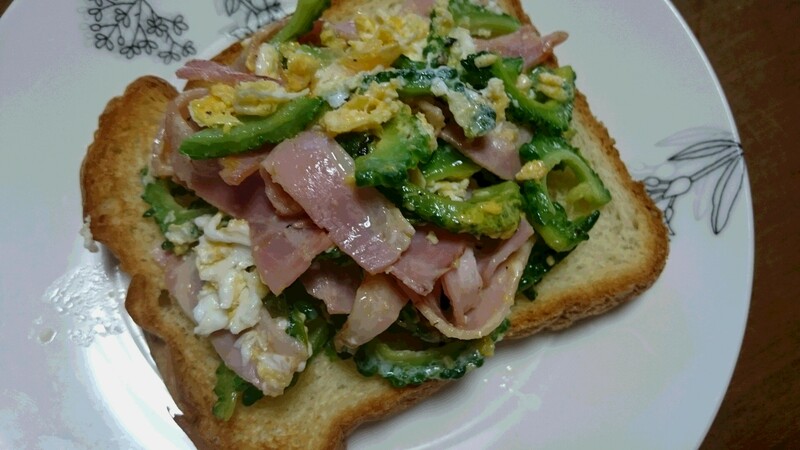 I had to eat goya, even for a breakfast and I made sandwiches with Goya & bacon . Goya become delicious after I only boil them for a short time and squeeze. 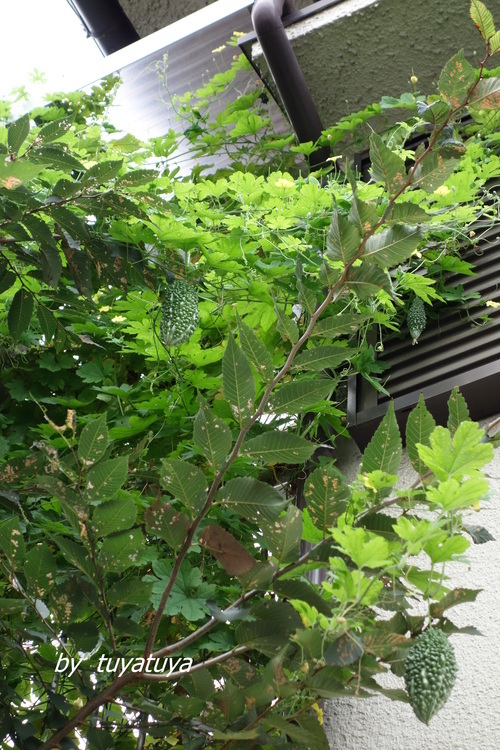 Could you find 3 goyas between zelkova tree ? 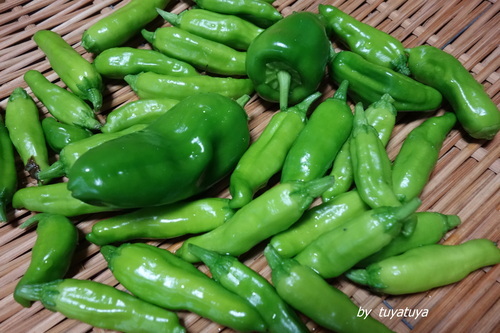 I cropped many green pepper too, just today. 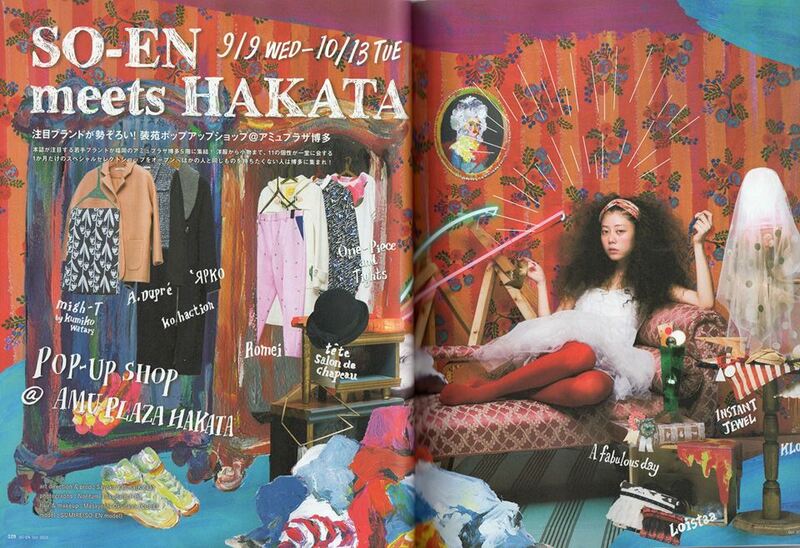 So-en magazine produced pop-up shop open in Hakata! Lots of summery pieces are stocked in Priere Kyoto! I've finally made up a blouse on the last of summer. 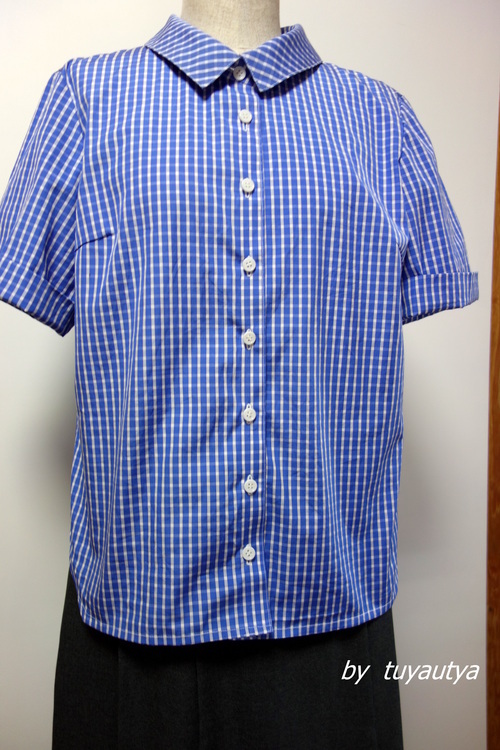 I had not been sewing in this summer, because it was too hot. so I finished it very soon. 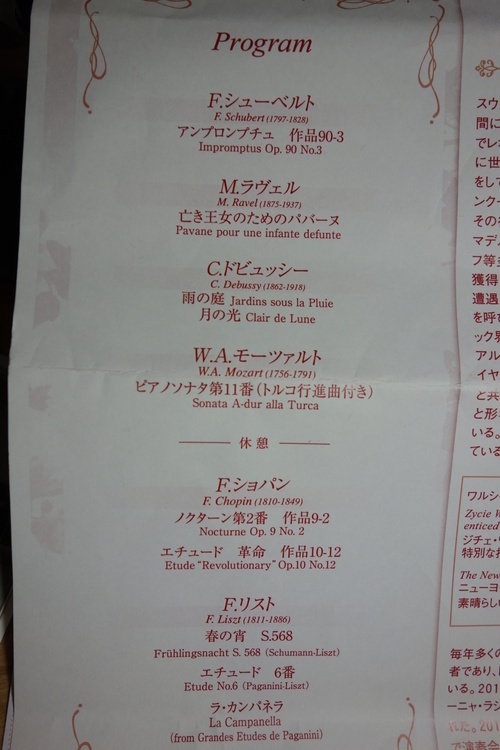 I especially like a sense of achievement to make something. 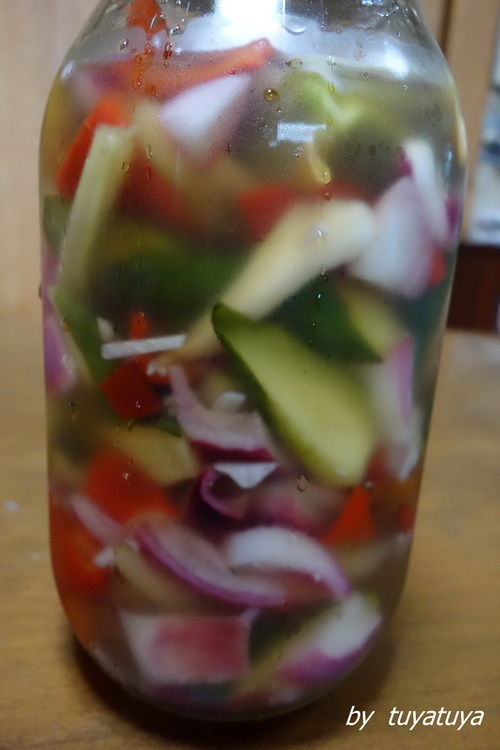 These pickles look very beautiful, don't they ? 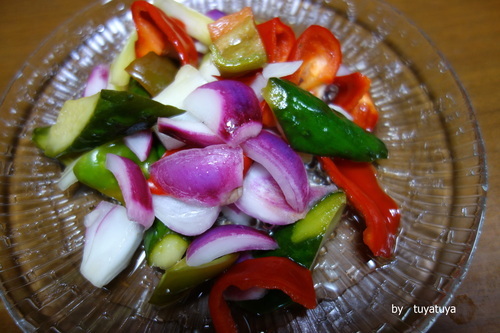 These are cucumber, celery, red onion and red,green,yellow paprika. Pickle them for 1 night. That's all, It's easy to make but delicious. 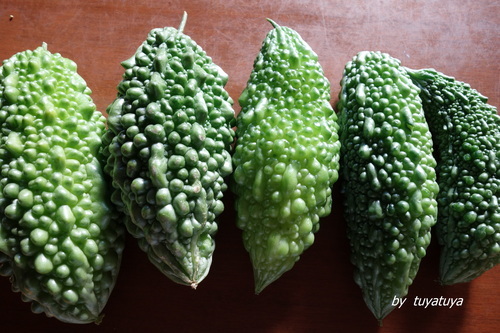 This is Myouga from Kutsuki, too. 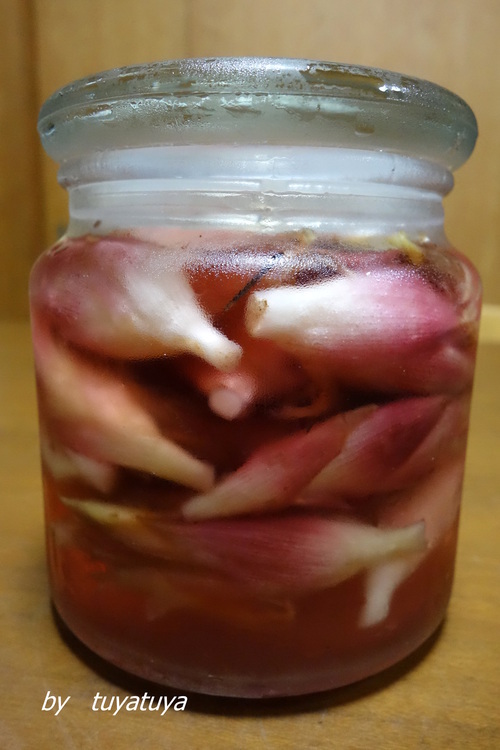 I pickled them with sweet vinegar. 1 night later,it changed to pink. 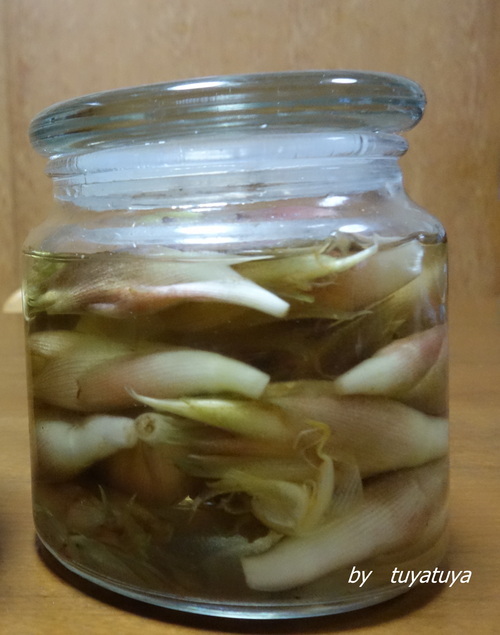 I cooked Sushi with them , it's very useful pickles.